Rationale: Preceptors are invaluable in the preparation of dietetic students. Purpose: This award recognizes Idaho Academy of Nutrition and Dietetics’ members or businesses/organizations who serve programs as preceptors. Goal: To encourage the perpetuation of this long-standing practice. Process: Any Idaho school, college or university that has a program accredited through the Accreditation Council for Education in Nutrition and Dietetics of the Academy of Nutrition and dietetics, currently Idaho State University (ISU) and University of Idaho (UI) will be encouraged to nominate at least one preceptor (either member or business/organization) that provides supervised practice experiences to students/interns in Idaho based programs. Nominations of preceptors can also come from other Idaho Academy members including students. Nominations will be sent to the program directors of currently (or future) accredited programs for review. Each school, college or university (currently ISU and UI) will facilitate their own selection process for recipients of this award to forward to the Idaho Academy Awards Chair/Past-President board for recognition by March 1st each year. This award will be presented at the Annual Business Meeting on Friday, April 26, 2019, by Awards Chair, Crystal H. Wilson, EdS, RDN, LD as part of the Business Meeting (meeting starts at 8:30 am and awards will be at the end of this session). Congratulations to this year’s Outstanding Preceptors! Cheryl Jorgenson has been chosen as the Outstanding Preceptor for the ISU Dietetic Internship in Meridian. Cheryl graduated with her dietetics degree from The University of Northern Colorado and also complete her internship there through their distance program. She completed rotations in Idaho, Oregon and Washington. She has been working in public health nutrition for the Southwest and Central District Health Departments for the last 9 years. She has really enjoyed working with interns. “I love all of the unique qualities and backgrounds that the interns bring to the program, and watching them gain confidence and independence throughout their rotations is so rewarding. Interns help me professionally as well by keeping me mindful of maintaining effective counseling and motivational interviewing skills, (for example). Interns can also bring fresh new perspective to a facility by sharing new emerging trends and technologies! I also recall being an intern myself and how instrumental a great preceptor can be in motivating and guiding you through what can seem like an overwhelming time.” Congratulations Cheryl! 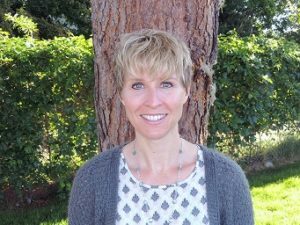 Barbara Grant has been chosen as the Outstanding Preceptor for the University of Idaho Coordinated Program in Dietetics. Barbara has over thirty five years of experience working in nutrition and dietetics. She has been a Clinical Oncology Dietitian/Nutritionist at Saint Alphonsus Regional Medical Center Cancer Care Center for over fifteen years and is a Board Certified Specialist in Oncology Nutrition. 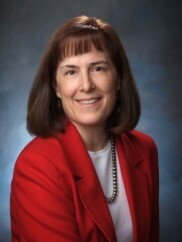 She is currently active in the Academy of Nutrition and Dietetics and the Oncology Nursing Society. She has held multiple leadership positions in the Academy of Nutrition and Dietetics, the Commission on Dietetic Registration and the Oncology Nutrition Dietetic Practice, to name just a few. She publishes extensively on oncology nutrition. She exemplifies excellence in professional practice and is an incredible role model for our students! Every year she guest lectures in the Medical Nutrition Therapy course. Students are impressed that she is the author of the chapter in their text book. They are captivated by Barbara’s presence and the stories she has to tell. She is always so willing to teach and mentor students. Students have remarked on how Barbara shows them how a dietitian’s passion for helping people can contribute to their patient’s wellbeing. She has a caring and supportive attitude towards her patients and her students. She is very respectful and in turn, she is respected! Barbara has been heard saying, “I love being a preceptor!” We are so lucky to call you a preceptor for the University of Idaho, Barbara! Congratulations!